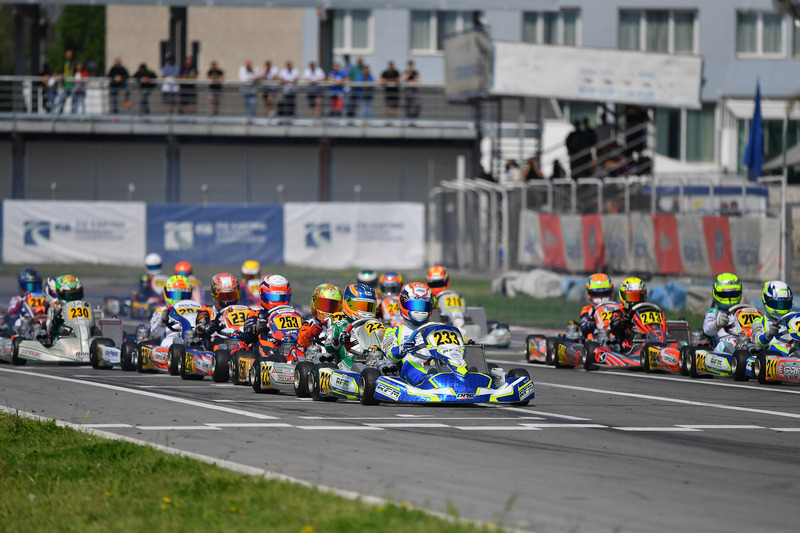 The FIA Karting European Championship (also known as the CIK-FIA European Championship) is considered the pinnacle of international karting, the proving ground for stars of the future and an absolute essential step for any driver hoping to make it to the higher echelons of motorsports. The first 2018 round of this event took place at the Circuito Internazionale Napoli in Sarno, Italy. 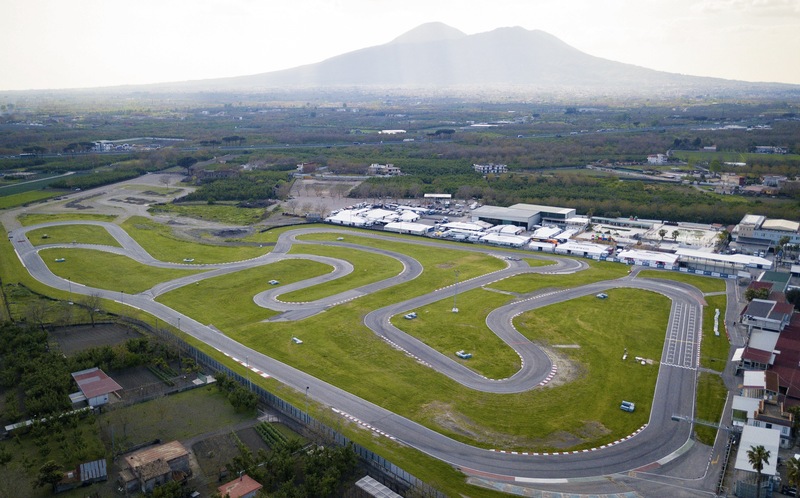 Located just outside Naples the circuit sits in the foreboding shadow of Mount Vesuvius. 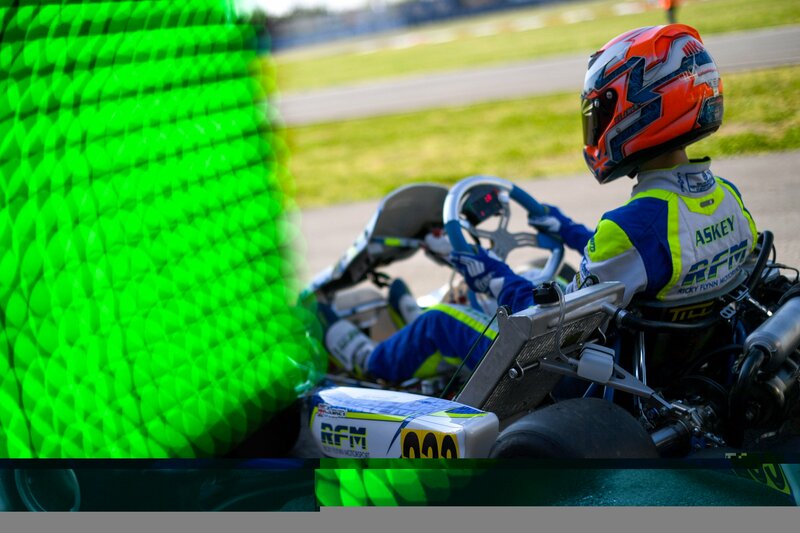 Over five days from 17th to 22nd April, it attracted over 160 drivers from all over the world with 77 drivers in Kai’s category, OK Junior. At the Sarno circuit the 125cc OK Junior karts achieve a top speed of 128 kph, an average speed of 92 kph over a single lap and up to 2.6 G of cornering force. The weather also played a part, being hot and dry the entire week with temperatures of up to 28 degrees. Kai had been consistently in the top three fastest drivers during practice on Wednesday and Thursday and so was feeling confident going into the qualifying session, however on past experience he also knew that the tactics of qualifying can often play a big part. The tyres used reach their optimum grip on the second and third laps (from new) so it’s essential to be on the track at the right point to have a “chase” on another driver but not waste your best lap. To this end most teams wait until the last possible minute (actually typically just 4 minutes to go) before sending drivers out. The grid was randomly divided into three groups of 26 drivers, Kai was in the third and last group, he left parc ferme with just under four minutes remaining, after his “out lap” he posted a 59.764 sec lap, on his next, and last lap he went faster still with a 59.617 sec lap placing him fastest in his group and third overall (of the 77 drivers). 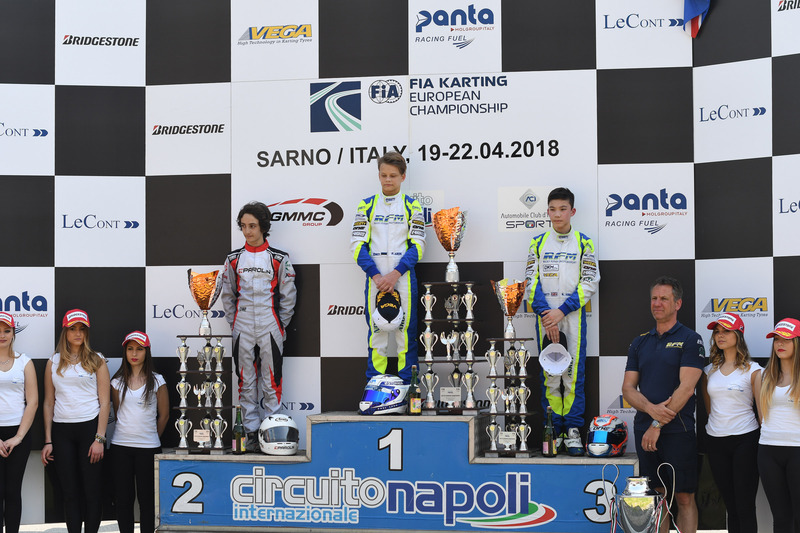 The top three drivers were separated by one of the tightest margins ever seen, just two hundredths of a second between Kai and his team mate Paul Aron who placed first overall and eighty-five hundredths of a second between Kai and third placed Dino Beganovic. Qualifying 2nd placed Kai in group B for the heat races, it also meant that he would start on pole for all of his heats except for the last where he would start second. On Saturday heats got underway, Kai had good results with a 2nd, 1st and 1st. 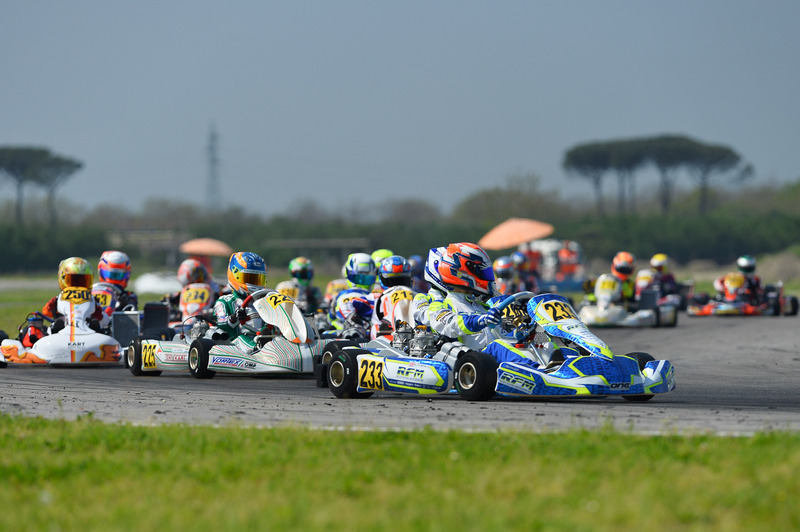 In his fourth heat he was pushed wide at the start and ended up on the grass, rejoining in 9th Kai pushed hard and with his final overtake taking place on the last corner managed to finish 5th. 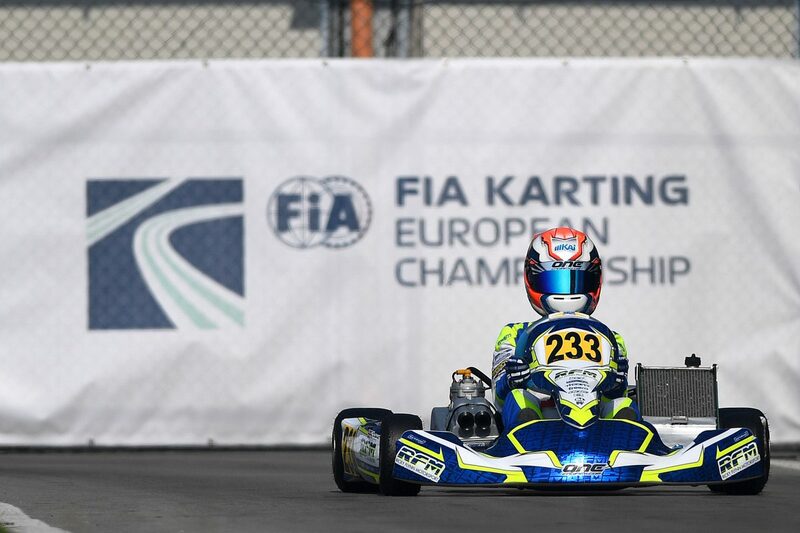 In his last heat Kai started alongside his team mate Paul Aron and they finished 1st – 2nd as they had started. 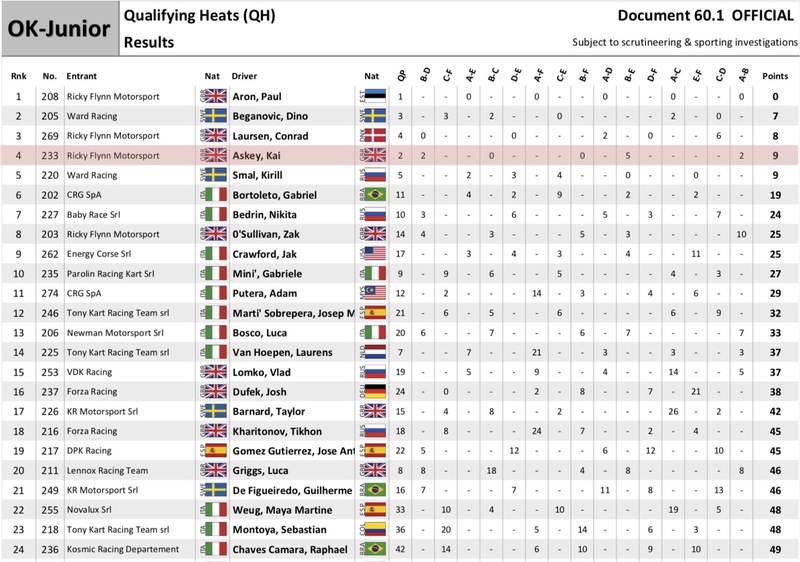 Kai’s heat results placed him fourth overall, to start 4th on the grid for the final. The final got underway under way at 2pm on Sunday with many FIA officials looking on and in the presence of Felipe Massa (CIK president) and Nico Rosberg. As is the choice of the pole sitter Paul Aron chose to start on the left side of the grid which effectively gave Kai a 3rd place start, he quickly slotted into 2nd place where he stayed for the first five laps matching Paul in pace but a hard charging Beganovic caught them on the sixth lap and moved ahead of Kai, the two swapped places a couple of times until Kai decided the fight was costing too much time and so stayed behind Beganovic to try and catch Paul. However they weren’t quite quick enough, the chasing pack caught up to Kai and Beganovic on the 12th lap and after a quick and confusing battle mid-lap Kai emerged in 3rd with local driver Gabrielle Mini in 2nd. 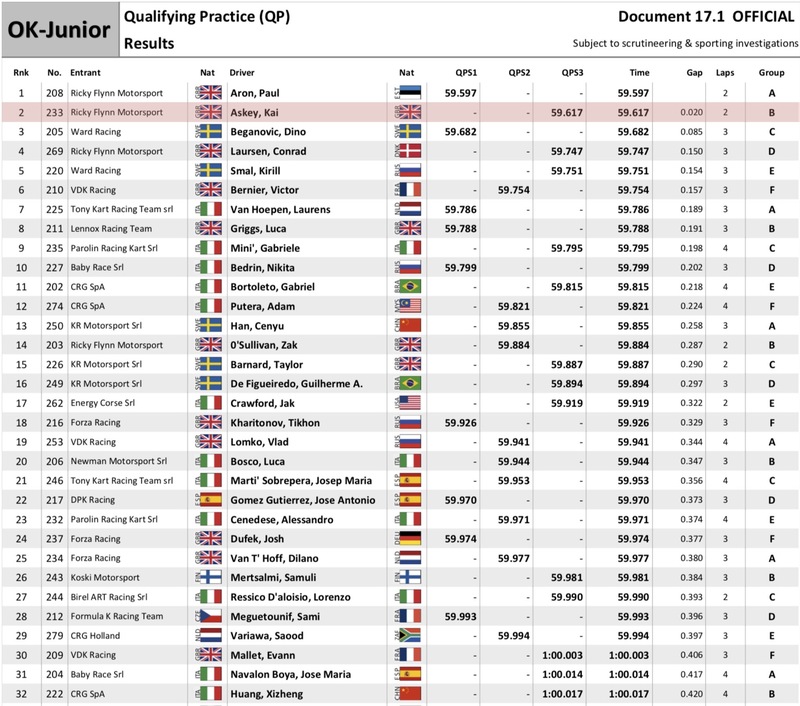 Paul maintained his 3 second lead for the next five laps and the race finished with Paul 1st, Mini 2nd and Kai 3rd. 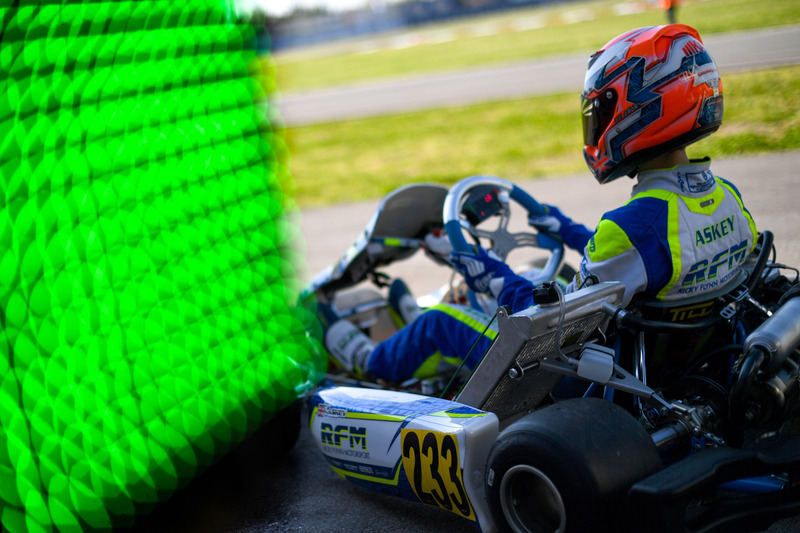 An amazing result for one of the youngest drivers on the grid, Kai proved he is in the best form of his life and competes as one of the best in the world.